A man stole a brand-new luxury car out of a Kearny Mesa dealership’s lot and led police on a lengthy chase down San Diego freeways Sunday. 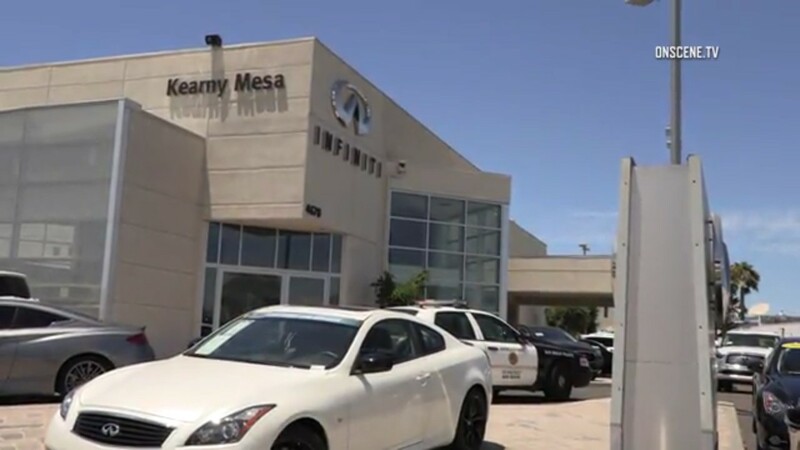 Workers at Kearny Mesa Infiniti called police about a man behaving erratically at the dealership just before 11 a.m., San Diego police Sgt. Thomas Sullivan said. A short time later, the same man took off in an Infiniti QX50 from the dealer lot, Sullivan said. The suspect led both San Diego police and California Highway Patrol officers onto state Route 52, then onto northbound Interstate 15. He was eventually taken into custody near Miramar Road.